Pennsylvania’s embattled attorney general has decided not to run for re-election this year. 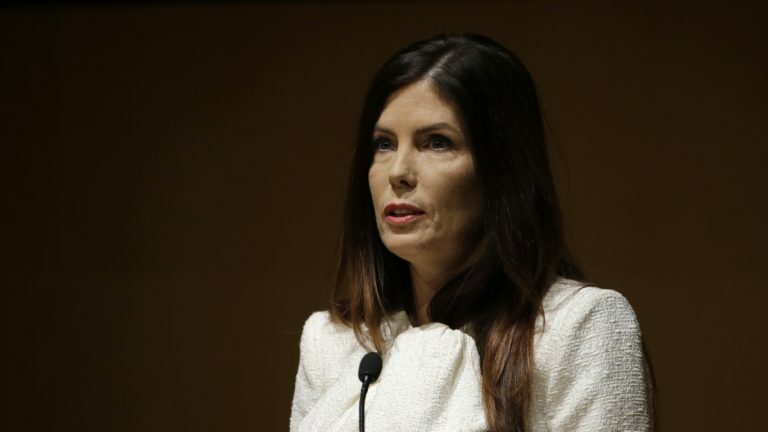 Kathleen Kane’s announcement Tuesday comes after a tumultuous two years in which she was charged with leaking investigative information to a newspaper to smear rivals and had her law license suspended by the state Supreme Court. She began her news conference in Scranton by detailing her accomplishments, a litany that almost sounded like a stump speech for re-election. But then Kane talked about her trouble keeping up with the demands of the job while being a single mother. Kane then finally announced she would not run again. Kane was charged last summer by the Montgomery County District Attorney with leaking grand jury materials to the media and lying about it. Her law license is suspended, calling into question whether she can keep doing her job. Kane vowed to continue in her job fighting corruption right up until her last day in office. She did not answer questions after her announcement and with a quick wave she left the room. Kane is the first woman and first Democrat elected Pennsylvania attorney general. Her office has fumbled public corruption cases and she’s disclosed a government email scandal that critics say she’s used as a weapon against her perceived enemies. Meanwhile, the state House of Representatives is exploring her impeachment.